The Manor House is situated on the left bank of Nevėžis River, 13 km to the north from Kėdainiai. Kalnaberžė was mentioned for the first time in H. Vartbergė's "Chronicle of Livonia" in 1371. Kalnaberžė Manor was owned by Radvilas, Čapskiai, Košelevskiai and Stolypin. The latter reconstructed the manor in the second half of the 19th century, which remains to this day. The style of the manor is neo-gothic. The manor house is surrounded by a mixed park which was established in the middle of the 19th century. The park includes lime-trees, oak, ash, maple and birch trees, common chestnut and gray poplar trees. There is a line of young western 'Fastigiata' thujas near the manor house. The manor belonged to Stolypin family until World War I. Piotr Stolyp lived here with his family during the warm season. Five out of six of their children were born in Kalnaberžė. Piotr Stolypin was the chairman of Kaunas governorate court and marshal of the noblemen of Kaunas governorate, in 1902 – Grodno, in 1903 – governor of Saratov near Volga. In 1906 – Russian Minister of Internal Affairs, in 1906–1911 – Russian Prime Minister. 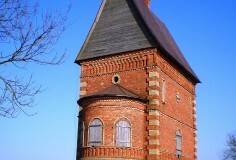 In 1910, a telephone and telegraph were installed in Kalnaberžė Manor House. Ministers and other government officials would visit the house, and hundreds of soldiers for security were located nearby. According to historian A. Pečiulytė, "P. Stolypin was the leader of the noblemen of Kaunas, who actively participated in the activities of the Orthodox Church of the Lord's Transfiguration. He owned more than 800 ha of land in Kalnaberžė, which he tried to make into an exemplary area. He provided funds to establish a craft school in Kalnaberžė, and took care that Kreicas Manor in Dotnuva would be purchased, where later an Agriculture School was established, later called by the name of Stolypin. He was a progressively minded politician who wanted to modernize Russia with education, court and agricultural reforms, so that it would follow the path of capitalism. There were 11 attempts to threaten his life, however the politician was shot during the last attempt". P. Stolypin left Kalnaberžė in 1911 to his last journey to Kiev where he was shot. In 1940, the manor was nationalized and destroyed during the war. Its items were plundered. After the war, a juvenile colony was restored here, in 1949 – children's home, and since 1959 – boarding school. Later, "Žiburys" collective farm administration was established here. 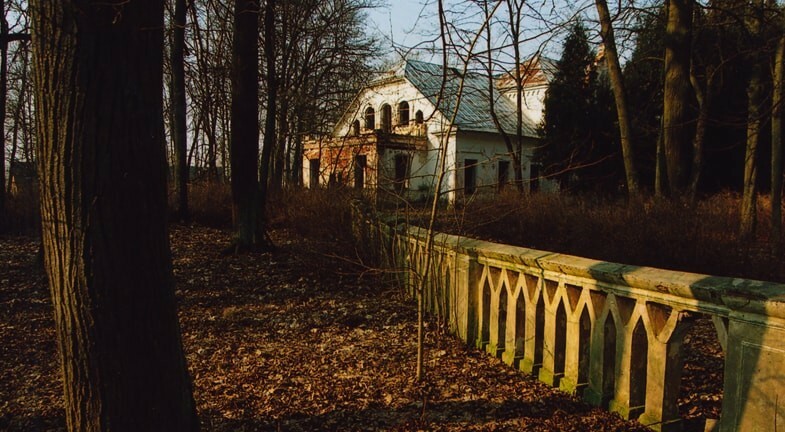 Currently, Kalnaberžė Manor, which is reminiscent of famous individuals, is abandoned, and the park is becoming wild.